Reception: Friday, September 6, 2019 | 5:00 – 9:00 p.m. The Social Action Project is an action research project operating in the United States and South Africa. Initiatives use the arts — theater, dance, public art, spoken word poetry — to bring about social justice in our neighborhoods. Initiatives are shaped by the project’s relationships and respond to the day’s challenges on the local scene, on both sides of the ocean. “Light Bringer” is part of the project. 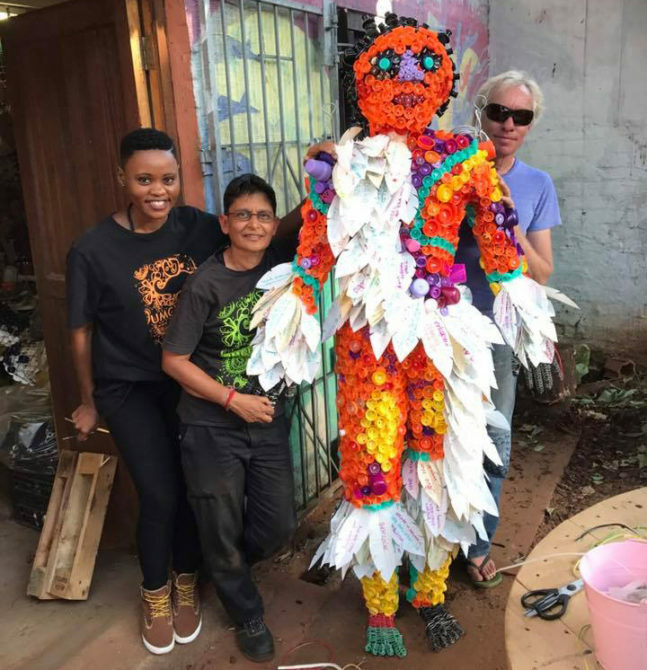 Through the collaborative creation of a life-sized figurative sculpture, an opportunity for the sharing of perspectives from across an ocean is created. The installation of the Light Bringer sculpture at SBMA will include stories and interactive elements inviting visitors to engage in the dialogue. This entry was posted in See, Upcoming Exhibitions. Bookmark the permalink. Both comments and trackbacks are currently closed.